Please, use the contact information and facts provided at each pool profile. Please check the nearest Chlorine Free Pools in Wales or Contact us to ADD IT. It's totally free! Looking for Swimming Pools? Lots of of them belong to gyms or sport centres which also offer lessons. 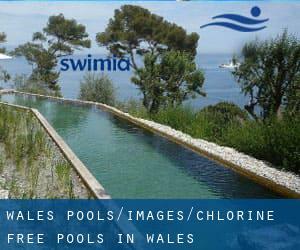 Thanks to some new Chlorine Free Pools in Wales submitted every day, Swimia.com is increasing everyday the number of stored pools. Please do not hesitate to contact us if you uncover any inaccurate or incomplete information. Not all countries are the same, and swimming regulations and rules are changing from one country to an additional. Traveling to Wales? This is the appropriate spot on the internet to find places to swim in Wales. Every day you are not swimming you happen to be losing precious time to enhance your expertise a be a better swimmer! No much more excuses!. Swimming can be a great idea to keep your body active in the course of your visit to Cardiff (Wales), or even should you be a local. Swimia helps you to find your closest Pool in Cardiff. Holding an estimated population of 170.883, Swansea is one of the most important cities in Wales. Check all the Pool in Swansea and its surrounding area. Let us tell you a secret to switch off whilst you are in Barry: just choose a Swimming Pool in Barry and plunge into the water! There's no additional powerful technique. Whereas Rhondda is one of the six most populous cities in Wales with nearly 59.450 residents, you shouldn't miss that one if you're going to Wales. Without a shadow of a doubt, swimming in Newport would be the finest strategy to unwind right after work. Take a couple of minutes to browse Swimia's catalog to find a Pool in Newport. It's hard to visit Wales without dropping by Cwmbran (with 48.157 residents). 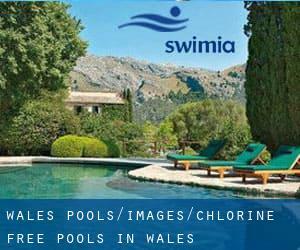 Currently Swimia is showing you all the Swimming Pool in Cwmbran and also the closest pools located in its vicinity. Updated on 2019 Church Lane , Alfreton , England , UNITED KINGDOM (Postal Code: DE55 7BD). Swimmers like you reported 25 meters x 15 meters, 6 lanes, 1 meters - 1.8 meters depth, 1 meters - 1.8 meters depth, Non-Chlorine Sanitized, Indoors. Unfortunately we do not have the email address of this Swimming Pool, but we can give you the phone number. Updated on 2019 College Road , Truro , England , UNITED KINGDOM (Postal Code: TR1 3XX). Swimmers like you reported 25 meters x 13.5 meters, 6 lanes, 1 meters - 1.8 meters depth, 1 meters - 1.8 meters depth, Non-Chlorine Sanitized, Indoors. Phone number and e-mail address are number for this Swimming Pool. Updated on 2019 Tetbury Road , Cirencester , England , UNITED KINGDOM (Postal Code: GL7 1US). This sports centre delivers 25 meters, 6 lanes, Non-Chlorine Sanitized, Indoors. Contact information for this Pool just like phone number and email address are number. Henley Road , Marlow - on - Thames , England , UNITED KINGDOM (Postal Code: SL7 2EY). Among all the activities offered by the centre, if you're interested in swimming you will appreciate 20 meters x 10 meters, Non-Chlorine Sanitized, Indoors. Just in case you want to get in touch with this Swimming Pool before dropping by, we only know the phone number. Oxford Business Park North , Garsington Road , Cowley , Oxford , England , UNITED KINGDOM (Postal Code: OX4 2JY). Among all the activities offered by the centre, should you be thinking about swimming you can get pleasure from 25 meters x 12 meters, Non-Chlorine Sanitized, Indoors. Just in case you desire to contact this Swimming Pool before dropping by, we only know the phone number. Dukes Drive , Charterhouse , Godalming , England , UNITED KINGDOM (Postal Code: GU7 2RS). Swimmers like you reported 25 meters x 13 meters, 6 lanes, Non-Chlorine Sanitized, Indoors. Phone number and e-mail address are number for this Swimming Pool. Updated on 2019 Church Hill , Helston , England , UNITED KINGDOM (Postal Code: TR13 8YQ). Swimmers like you reported 25 meters x 13 meters, 6 lanes, 0.9 meters - 1.9 meters depth, 0.9 meters - 1.9 meters depth, Non-Chlorine Sanitized, Indoors. Phone number and e-mail address are number for this Swimming Pool. Unit 4 , The Printworks , Withy Grove , City Centre , Manchester , England , UNITED KINGDOM (Postal Code: M 4 2BS). Among all the activities provided by the centre, for anybody who is interested in swimming you'll enjoy 20 meters x 8 meters, Non-Chlorine Sanitized, Indoors. Just in case you desire to get in touch with this Swimming Pool prior to dropping by, we only know the phone number. Updated on 2019 21A Piccadilly , Piccadilly , London - Central , England , UNITED KINGDOM (Postal Code: W 1J 0BH). Among all the activities offered by the centre, should you be considering swimming you may appreciate 50 feet x 35 feet, 1 meters - 2 meters depth, 1 meters - 2 meters depth, Non-Chlorine Sanitized, Indoors. Just in case you want to get in touch with this Swimming Pool before dropping by, we only know the phone number. Updated on 2019 Brunswick Street , Knutton , Newcastle - under - Lyme , England , UNITED KINGDOM (Postal Code: ST5 1HG). Among all the activities offered by the centre, if you're interested in swimming you will appreciate 25 meters, 8 lanes, 1.1 meters - 2 meters depth, 1.1 meters - 2 meters depth, Non-Chlorine Sanitized, Indoors. If you might want to contact this Swimming Pool, email address and phone number are both number. 1a Hall Lane , Hendon , London - North , England , UNITED KINGDOM (Postal Code: NW 4 4TJ). Swimmers like you reported 25 meters x 12 meters, 6 lanes, 1.2 meters uniform depth, 1.2 meters uniform depth, Non-Chlorine Sanitized, Indoors. Phone number and email address are number for this Pool. Barton Dene , Marlborough , England , UNITED KINGDOM (Postal Code: SN8 1PB). Among all the activities provided by the centre, if you are thinking about swimming you can expect to enjoy 25 meters x 9 meters, 4 lanes, Non-Chlorine Sanitized, Indoors. If you will need to get in touch with this Swimming Pool, email address and phone number are both number. Updated on 2019 23 Roedean Road, Brighton, The City of Brighton and Hove BN2 5RA, UK. Swimmers like you reported 25 meters, 5 lanes, Indoors, Salt Water, Non-Chlorine Sanitized. Chelsea Village , Fulham Road , London - Central , England , UNITED KINGDOM (Postal Code: SW 6 1HS). Among all the activities provided by the centre, for anybody who is interested in swimming you'll enjoy 25 meters x 10 meters, 4 lanes, 1.4 meters uniform depth, 1.4 meters uniform depth, Non-Chlorine Sanitized, Indoors. Just in case you desire to get in touch with this Swimming Pool prior to dropping by, we only know the phone number. Carlos Place , Mayfair , London - Central , England , UNITED KINGDOM (Postal Code: W 1K 2AL). This sports centre provides 18 meters, Non-Chlorine Sanitized, Indoors. For this Swimming Pool, only phone number is number here.